Could A More Stylish Garden Raise The Value Of Your House? I’ve written before about how to increase the value of your home but this guest article take a good look at how to ensure your garden is also playing its part in your home’s appeal. It’s not only the interiors that do a great job of boosting the value of your home – the garden has loads of potential too. Even if you aren’t thinking of selling up in the near future, it makes sense to do what you can to keep your home in great nick so that it’s in a position to realise its potential. When the time comes and you consider moving on, you’ll need to stress some of the particular selling points of your home and the garden is right up there. Buyers don’t always realise it – we like to think we’re being frightfully pragmatic when it comes to house hunting in general – but there are swayed by little flourishes here and there. Moreover, buyers respond to marginal differences between properties they are looking at and they tend to be quite impressionable. That’s only to be expected given the unique nature of house hunting. The stakes are high and buyers often attain a state of heightened sensitivity to their surroundings when looking around a property they might fork out thousands of pounds in order to secure. They take what they see very much to heart. So what’s this got to do with the garden? Well, there are certainly ways that a really well-thought-out garden that is lovingly cared for and stylishly decorated can impact the value of your home for the better. If you needed any greater motivation to take a proactive approach to garden design than the simple pleasure of having access to a gorgeous outdoor space of your own, then the monetary rewards when you sell up might just provide it! You want people to see the true potential of your garden space. If you don’t do what you can to make the space look fantastic then buyers won’t realise how good it could be once they get their green fingers on it. Go for a combination of styles. Have a nice seating area, pretty and colourful borders, a few low-maintenance pots and a space where kids could reasonably play if you have space. This way you’re showing off all the different aspects of the garden. Not all gardens have the benefit of loads of space. However, a bit of intelligent landscaping is all you need to create the illusion of space. Don’t allow any parts of the garden to become overgrown because this will cramp it and buyers will think it’s pokier than it really is. Instead, introduce narrow borders with plants and flowers in them that pack of a creative punch without occupying too much room. Use the vertical space around your garden by planting small trees that add colour and beauty at a raised level. Choose small garden furniture like bistro sets and miniature sheds to house garden tools. It’s important keep on top of your garden maintenance. Give yourself every chance of success in this area by picking plants for the borders and pots that don’t require your constant attention. If your garden is more manageable then you’ll care for it more readily and this will show buyers how much you put into home improvements. Signs of neglect undermine the value of your home by sowing the seed of doubt in people’s minds. As a side-issue to garden improvements, it’s probably best not to overwhelm prospective buyers by planting the best garden the world has ever seen – one that requires round the clock care and attention if it isn’t to become a jungle that reclaims the whole neighbourhood! Save more ambitious plans for the property you plan to settle down in for the longer term. Buyers don’t want to be forced into biting off more than they can chew and they don’t want to feel guilty for ripping out a garden that amounts to more than they can reasonably handle. Gardens and homes direct have provided an insight into ways that a stylish garden can actually raise the value of your household. Previous Post John Lewis Launch New TV Ad – What Matters Most in your Home? Great tips! I think it’s a great idea to have a welcoming little garden, or at least a nice and tidy yard, because that will be the first impression for the buyer. 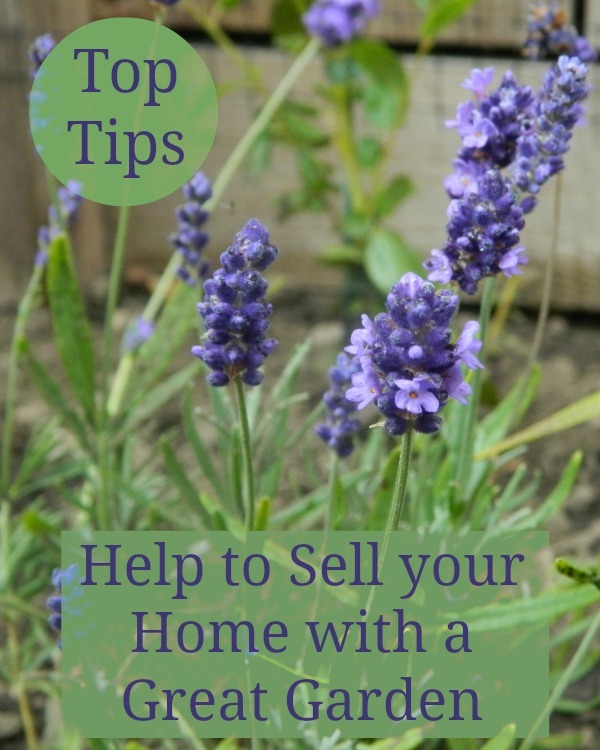 Especially if you are selling your house during the summer and the garden is neat and pretty. During the winter, point out the beautiful gardening area. A garden is more important than you might think. You are right beautiful and stylish garden really increase the value of our home.Good and useful article.